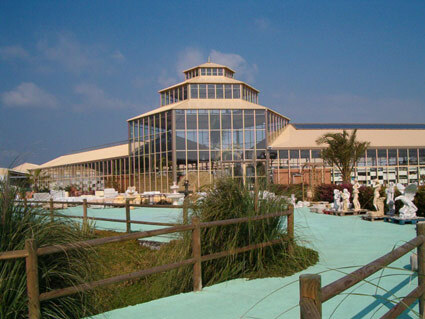 The Jardin del Ingenio garden centre which covers a total of 90,000 square metres is located on the Velez-Malaga / Torre del Mar exit 272 of the N340/E15 Costa del Sol autovía and has been open now since April 2005. Despite being built on one of the busiest traffic junctions in the area, credit must be given to the designers of the Jardin del Ingenio Spanish garden centre, who have done and excellent job with the layout and so have created an atmosphere inside of calm and tranquility. One of the ways they have achieved this is by providing lots of open space, including the 1500 square metre central Andalucian style courtyard area complete with fountain which greets visitors on their arrival. 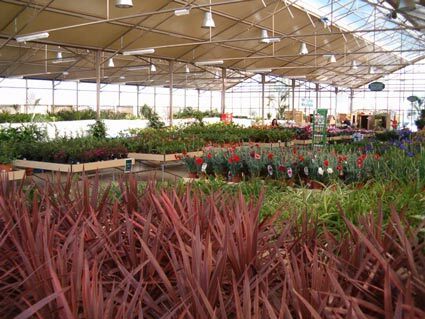 From here you are able leisurely wander through the indoor and outdoor areas and browse over more than 10,000 different plants and garden products, one of the largest selections in the region. 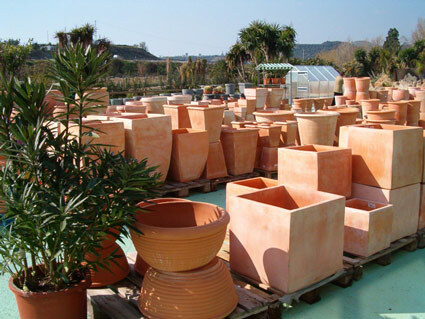 These include native Andalucian and Spanish plants as well as other cultivated Mediterranean and tropical plants. There is also a wide range of garden furniture, garden ornaments and pots. 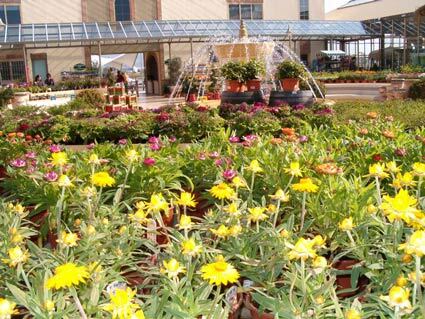 In addition to the public areas there are a number of nursery areas where production of seasonal plants is overseen by a professional team of gardeners. Theses professionals of the Jardin del Ingenio garden centre are also available for consultation and provide any advice on Mediterranean gardning required by visitors. Exit N340/E15 at Junction 272 take the C335 signed to Velez-Malaga (the garden centre will be on your left), contiue on to the next roundabout. Turn left (3rd exit) as if you are going into the Repsol petrol station BUT keep right and take the left turn through the gates which leads to the car park.